Let me begin by wishing you all a very happy, healthy, and humorous 2018! 2017 was a strong year for the Vasa and Ypres series. A Mayfair Conundrum was published in paperback. Indeed, it has (pleasantly) surpassed the five copies sold, as enumerated by Ypres in Chapter IV of Park Avenue or Bust! Even better, so far there have been no returns. As for Park Avenue or Bust!, the publication of each new chapter on the Vasa and Ypres blog has brought plenty of new followers, totalling over 1,650. All this would not be possible without you, the reader, and your continuous support. Through your readership, kind comments, and by reaching out via email, you keep the Vasa and Ypres series going. Furthermore, a donation has ensured that the blog will have its own domain name (vasaandypres.com) starting in February. For this, I thank you. 2018 will bring a few changes. Vasa and Ypres’s Twitter presence will continue to expand. I am also exploring linking the blog to a Tumblr account to broaden the readership. Chapters will be published on Sundays instead of Mondays, and will therefore be included in many a weekend routine. 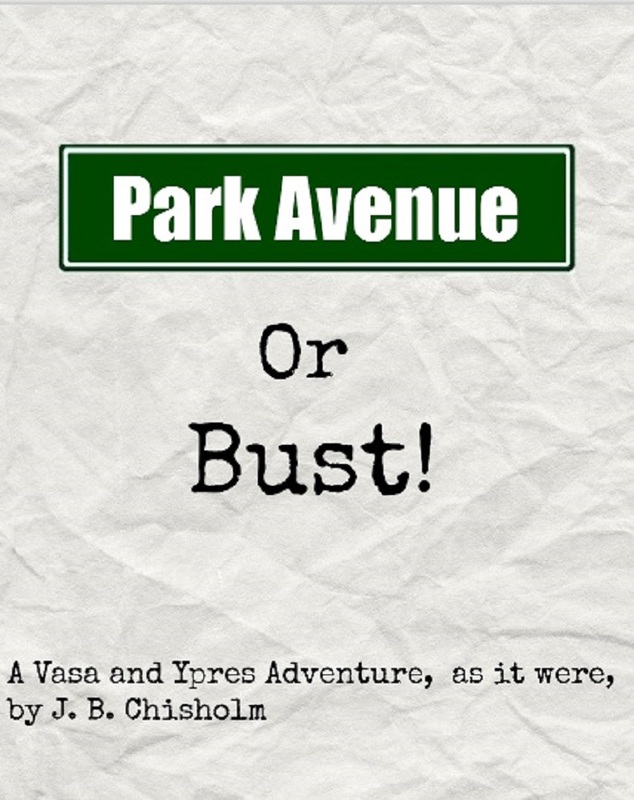 2018 will also bring more chapters of Park Avenue or Bust!, and, might, schedule permitting, bring the second Vasa and Ypres adventure to a close. You can rest assured, or sigh in dread, depending on your views, that Vasa and Ypres will continue. With a bit of luck, it will continue stronger than ever. Despite the professional and personal commitments of everyday life, I will continue to write as regularly as I can, and ensure the Vasa and Ypres series lives on. How fascinating to have discovered you this morning… following my simple but odd request for fitness info. Happy New Year to you as well mate.